You’ve probably heard of Mount Everest. K2 is a nearby mountain in the Himalayan mountain range in Pakistan. It is not quite as tall as Mount Everest, but it is more dangerous to climb. In fact, one in four climbers dies trying to reach the top! 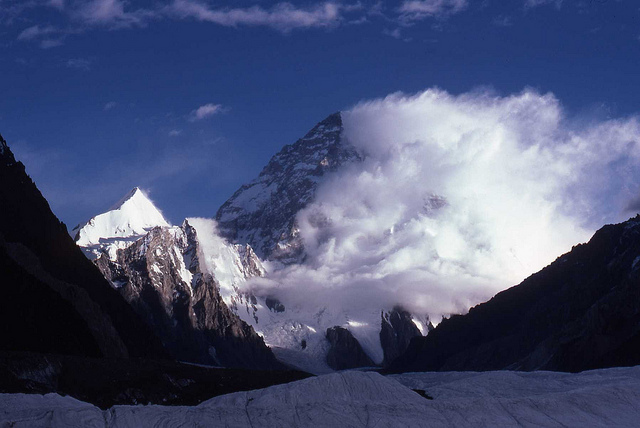 All About K2: K2 is a nearby mountain in the Himalayan mountain range in Pakistan and is second tallest mountain. The K2 mountain is dangerous for several reasons. First, the weather there is almost always bad. Freezing storms and high winds make it dangerous. Large sheets of ice cover the mountain. Sometimes big chunks of ice break off and slide down the mountain. If you’re in the way, watch out! 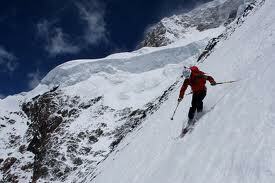 The K2 mountain is dangerous to climb because large sheets of ice cover the mountain. Keep reading for more all about K2. In 2008, eleven mountain climbers died. A sheet of ice slid down the mountain. Some hikers were crushed; others were swept off the mountain. The ropes they needed to guide them down were swept off the mountain too. Some of the hikers died trying to get back down. Climbing a mountain like K2 is very expensive. One trip can cost $50,000 or more. Sherpas are native people who help hikers. They know the mountains very well. Weather on K2 is almost always bad. Freezing storms and high winds make it dangerous. It takes about 75 days to climb the mountain. In fact, one in four climbers dies trying to reach the top! A movie trailer of the movie The Summit, a film about K2. 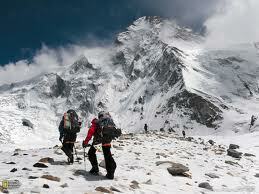 Question: How long does it take to climb K2? Answer: It takes about 75 days to climb the mountain. Question: How difficult is this mountain to climb? 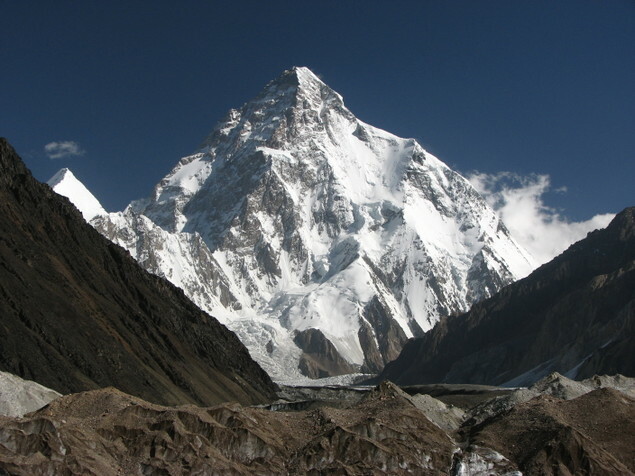 Answer: K2 is ranked in the top five most difficult mountains to climb in the world. Enjoyed the Easy Science for Kids Website all about K2 info? Take the FREE & fun K2 quiz and download FREE K2 worksheet for kids. For lengthy info click here. I think all about K2 is fantastic for kids who are determined to learn about mountains. Declan, Tobin. " Fun K2 Facts for Kids ." Easy Science for Kids, Apr 2019. Web. 25 Apr 2019. < https://easyscienceforkids.com/all-about-k2/ >.